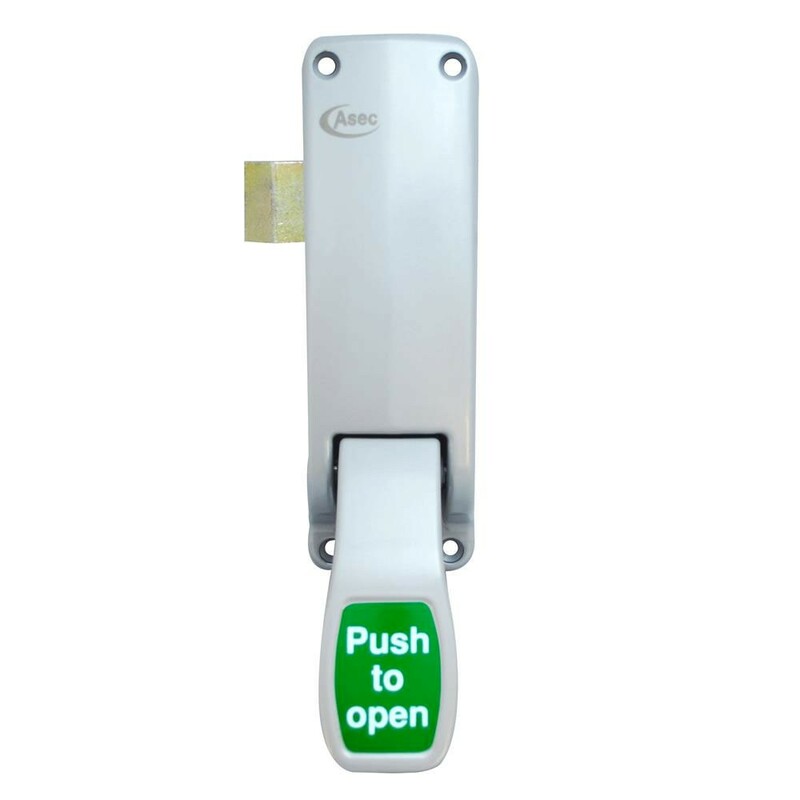 The Asec push pad panic latch for single doors holds the door closed with a latch (no vertical bolt), pushing the pad releases the latch allowing the door to open. When fitted correctly the device should allow exit to people who may have to have prior knowledge of how the lock works so it is usually used in work places with no access to the public and the Staff are shown how to use the device during their induction program. 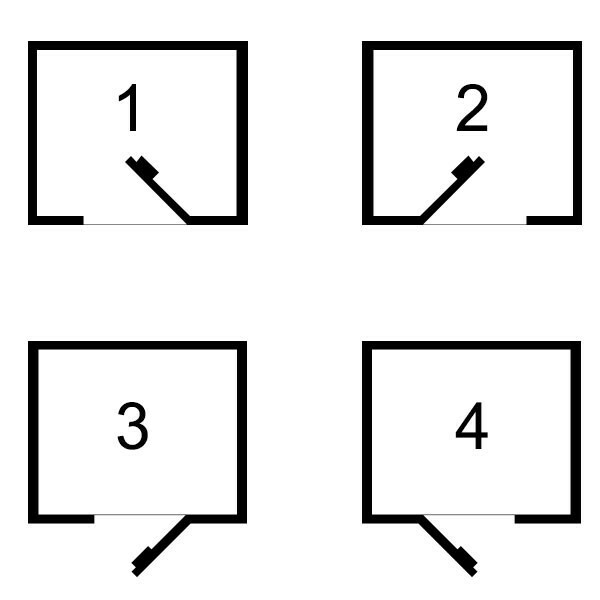 Supplied handed but can be reversed on site. 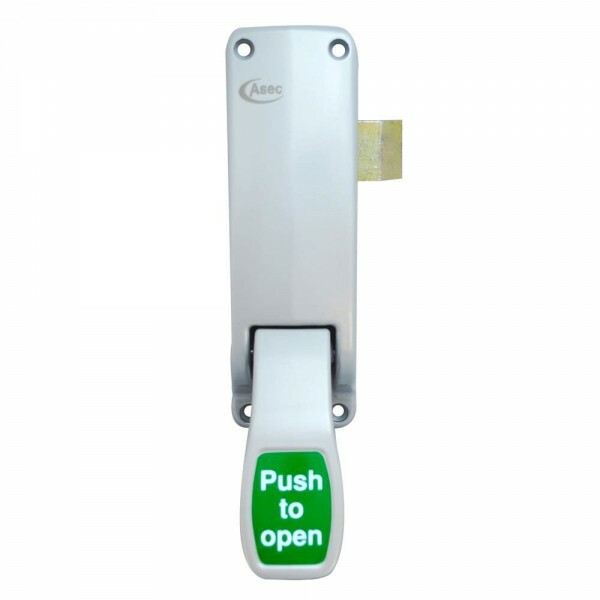 For use on single doors or first opening leaf of a pair of doors.